Laid out in plain sight the Deodato forecast for the year 1974. 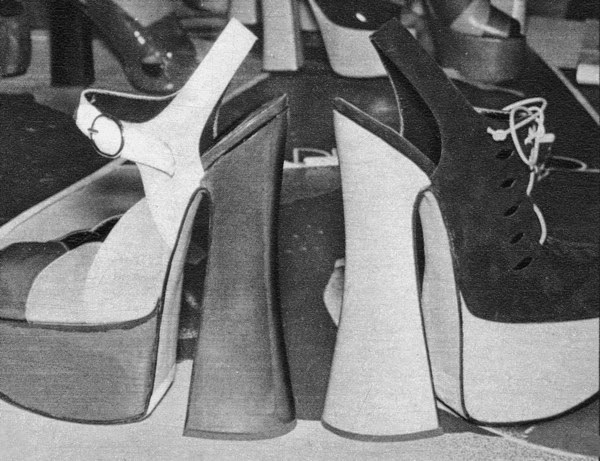 In the meantime he wasn't shy of high heels and designed these stunning platforms (15 cm/6", at least) for the shoemaker Romea showcased at the 26th Bologna Footwear Fair (March, 1972). 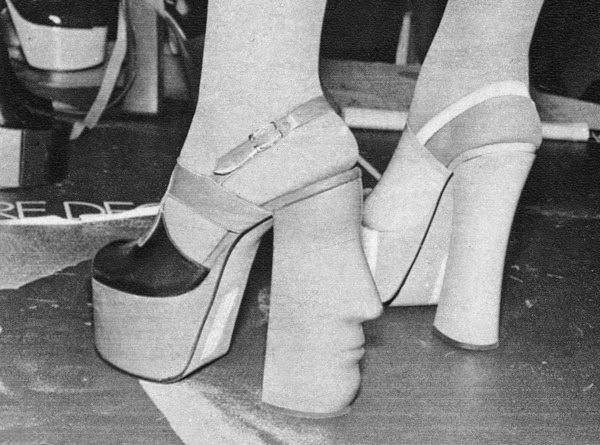 Nevertheless Deodato missed the deadline by a few months but managed to design for Ferdin these two platforms at the beginning of 1975. 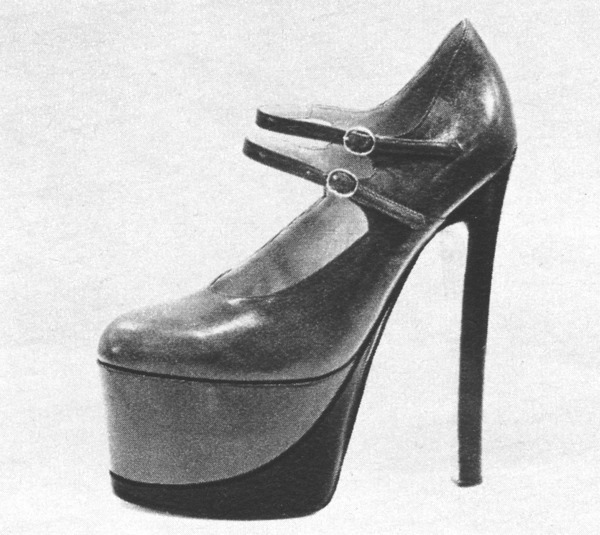 Ahead of the exhibition, Westwood said: "Shoes must have very high heels and platforms to put women's beauty on a pedestal." 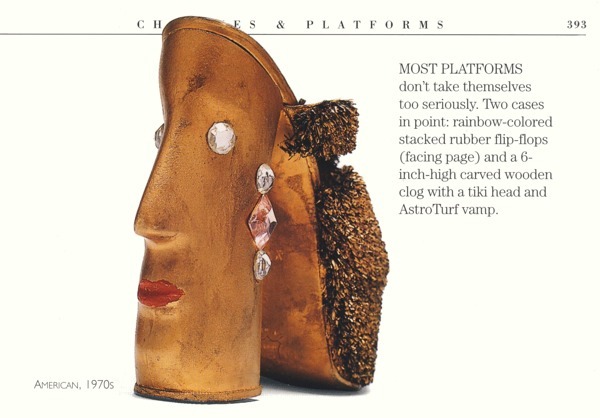 Joanna Hashagen, keeper of textiles at the Bowes Museum, said the shoes, including the infamous "Super Elevated Gillie" shoes, were "works of art in themselves". 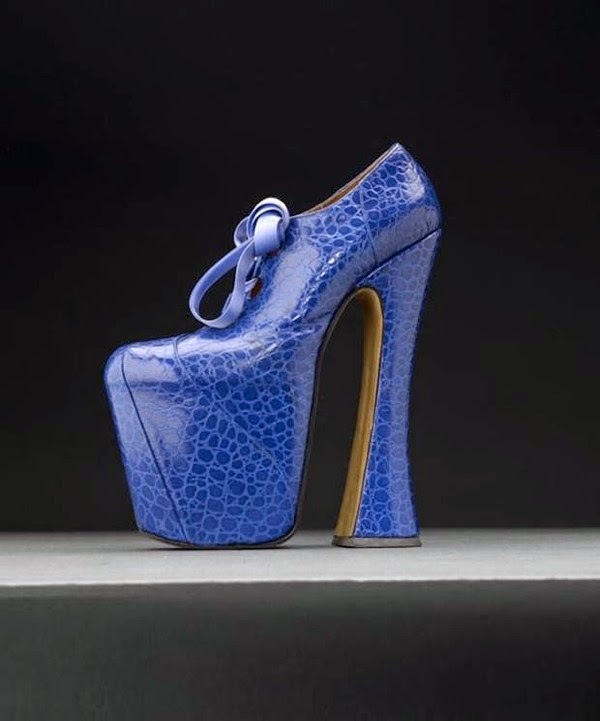 ... at the Museum of Vigevano, a Vivienne Westwood exhibition was held at the Palazzo Ducale’s stables (2006). 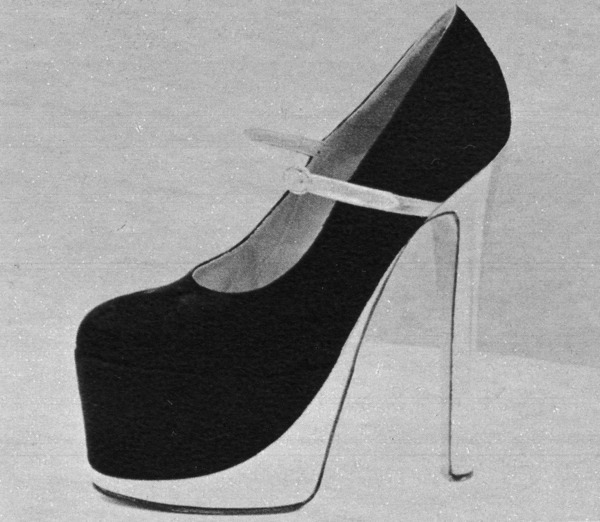 A lovely one: her shoes were displayed like flowers on metal plates with iron stalks. At the opening I visited the exhibition with her and she was charming and down to earth. That woman has passion: you could notice that by the way she explained the story of each one of her shoes; how they were made and when ... She also loved Deodato’s shoes. Basically, what she did in 1978, Deodato had done it in 1972. 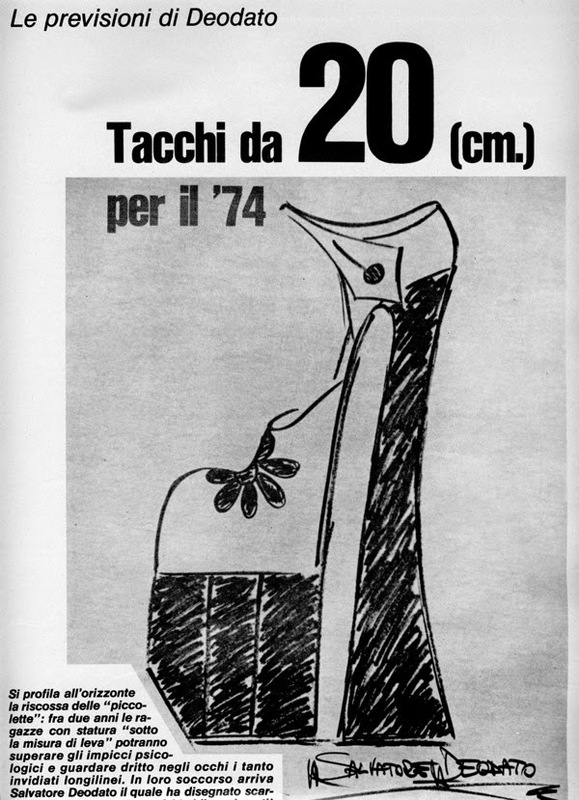 1972 | Salvatore Deodato for Romea (Venice) | Ready to be knocked off A.S.A.P. 1970s | Done already! Striking resemblance minus the AstroTurf vamp.